In November 2012, I gathered a few Fantasy writers I had met online and created this blog. The idea was to share our thoughts on all things related to reading and writing Fantasy fiction. Along the way nearly 300 of you, dear readers, joined us as we walked on our different paths to publication. We shared with you our writing tips, reading recommendations and publishing adventures. In return you commented on our posts, leaving your tips, recommendations and thoughts. It was great! Unfortunately, last month, it became clear our lives have all become too hectic and our schedules too busy to allow us to continue this blogging adventure. This means this blog won’t be updated anymore, although it will remain online. If you’re new here, feel free to browse through our archives to find out about our writing resources. Thank you for your support during the past 18 months. Thank you for reading, commenting, liking and sharing our posts. I hope you’ve found something useful or entertaining here. 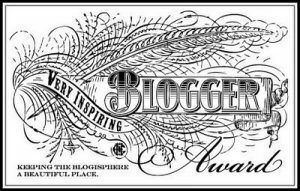 I know it’s been a pleasure to be part of this blog, and I’ll miss it. So don’t forget: keep writing Fantasy. Keep reading Fantasy. Keep working towards your publishing dream(s). And most importantly, keep going on adventures and believing in dragons. I actually hate writing “writing craft” posts for the same reason I hated giving violin lessons. With music, I felt like the root reason for making music is to play, and it’s not fun if you have a teacher telling you what to do. Some people enjoy learning with a teacher, but I never did…and so I quit giving violin lessons because I felt like a fraud. When I was a teenager, I wrote simply to please myself. I didn’t let people read my words and I was happy that way. But a lot of people told me I should write nonfiction. “Why would you waste such a gift with words on fiction?” they would say. It caused me to want to hide my infatuation with stories even more, to be somewhat embarrassed that “all I write is fiction”. It seemed everyone I knew — even people who didn’t know me well — had ideas about what I should write. And on. And on. Writing fantasy –of all things — would be the height of frivolousness to my high-minded friends. Why, why, why would you ever want to write such a useless thing?! Yeah. I was really bad at pitching it. Thus my self-reflection started. Why can’t I have faith in my own story? Something must be really wrong with me, because I know I love this story. Am I trying to walk too much of a tight rope? Trying to impress too many people who will never be impressed even if my feminist manifesto is on the bestseller stand at Borders (back when there was Borders)? Somewhat, yes. All these expectations had turned into something ugly: deeply rooted inhibitions that made me fault my characters for things like simple human nature. Even if I had portrayed accurately what my characters felt and did, I was wracked with guilt over it. Time to strip it down to the basics. What did I love about my story? Why did I love it? Was it truly me speaking, or could I do better? It was me. It was good. But I could do better. I could do better by letting my characters show their emotion on the page in its full depth. By not letting them feel like someone was glaring over their shoulder, questioning their every motive. By asking, is this really what this character would do? instead of is this really what I want this character to do? Forget what I wanted them to do. I was telling their story. David did murder Uriah because he got Bathsheba pregnant. And I’m sure the writer of II Samuel was all, “Don’t ever read about this heroic giant slayer, because he turned into a murdering punk later.” Um, nope. He told David’s story, in all its glory and its ugliness. Stories are freaking important. Stories rock. This is the state of mind I finally allowed myself to be in when I wrote Knights of Rilch. That story isn’t what you might call pretty. It’s desperate and tragic and only sometimes reflective. But it’s what happened, and it’s as raw and real and as deep into my character’s minds as they would let me go. I’m sure I’m still holding on to a few inhibitions in here, and they’ll be something new to search and destroy with my third novel. But I just had to share this with you guys, in case there’s something holding you back, making you afraid to write that sucker. Write the stories you have inside you. Don’t let anybody tell you that you don’t have the capacity to write what you need to write, and don’t let anybody tell you that you should be writing something different. Ask advice from people you trust, from writers who can help, from agents and editors who support and polish…not from your critics. Above all, ask yourself to be as honest and real as you can be on the page. Make your art. Yours. I have a particular soft-spot for stories that tip over into the realm of fantasy. The ones that on the surface appear to be fantastical, but could equally be explained by some unusual combination of circumstances. The best ones, in my opinion, are the ones which have a great logical explanation, but still leave you wondering. 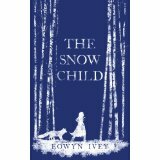 One of the best examples I’ve come across in this vein is The Snow Child, by Eowyn Ivey. Based on a Russian folk-tale, this is the story of an older, childless couple, who bury their emotional pain trying to carve out an existence in pioneering Alaska. One night, in a rare moment of levity they build a child out of snow. The next day the snow child is gone, and the retreating footprints of a ‘real’ child remain. The result is a journey into the hopes and dreams of both husband and wife as they try to reconcile what they’ve discovered. The setting, the harsh and unforgiving Alaskan frontier, has a wild, untamed, beauty that adds to the magic and reflects both the struggle for survival and the fragile nature of hope the snow child brings. Is it fantasy or not? I won’t be giving away the ending, except to say perhaps it depends on the reader? Other popular examples play up the magical qualities of food, including Joanne Harris’s works, Chocolat and Blackberry Wine; Laura Esquivel’s Like Water for Chocolate; and Pomegranate Soup, by Marsha Mehran. Carol Goodman also draws together fairytale or legendary themes in her books: Arcadia Falls touches on changeling folklore; The Seduction of Water, on selkies. She has since crossed over the full-fantasy line writing the Black Swan Rising series with her husband under the name Lee Carroll. 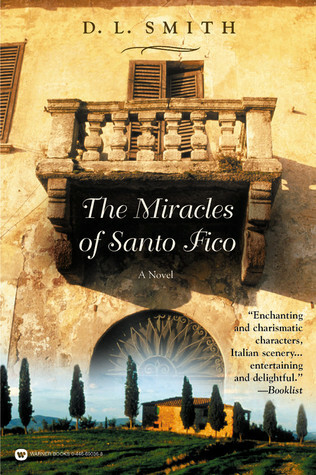 On the faith based front, one of my all time favourites, The Miracles of Santa Fico by D.L Smith, deals with the nature of miracles. The story is based around a group of men attempting to create their own miracles in order to restore the faith of their local priest. (The priest lost his faith due to the actions of these men). The manufactured miracles go awry quite spectacularly, and yet as they do circumstances seem to line up in a way that could be seen as truly miraculous. And like the other stories you’re left wondering if the rational explanations truly tell the whole story. I’m not sure if any of these novels quite cross over into realm of fantasy? At the very least they all have that not-quite-of-this-world element about them. Do you think these novels should be considered fantasy novels? Why? And do you have a favourite mainstream novel that brushes shoulders with fantasy? If you’re a writer in the query trenches now or if you’re planning on looking for an agent and getting traditionally published in the future, you know that getting rejections is part of the process. For the purpose of this post, we are going to assume the Querying Writer has done her research, finished and polished her manuscript, written a professional query letter and put together a list of relevant agents to contact, along with their submission guidelines. There are many, many reasons for an agent to send the Querying Writer a rejection, and for nearly every single one of them there’s a solution. Sometimes, the agent will tell you what’s wrong with your submission: it’s called a personalized rejection. Other times, the agent won’t tell you why she’s rejecting your manuscript: it’s the infamous Form Rejection. The premise isn’t unique/original/inventive enough. In a sea of submissions, agents and editors are looking for a Unique Concept. Or a Familiar Story With An Unexpected Twist. They want the Unfamiliar. They want to be Surprised. As we do, as readers. Research the industry: find out what’s on the shelves right now or what will hit the shelves in the next 18 months. This will give an idea of what agents/editors have already seen and aren’t looking for. Avoid tropes in your writing: I recommend this website to find out which writing devices have been overdone. Read: writing a Fantasy book requires reading Fantasy book, to avoid the annoying predicament which consists in writing a book that already exists. Are you worried about how original your manuscript is or isn’t? Have you had rejections stating your premise felt too familiar? What have you done to ensure your book was as original as possible? Make sure to leave us a comment below! Have you ever noticed how over the course of the three original Star Wars movies, Darth Vader gets a bit more impressive with each one? His shoulders get a bit broader. His voice gets deeper. He just appears more menacing. At least it always seemed that way to me. Where writing is concerned, that’s what I expect of a series. The first book may be good in its own right, but the second is usually a bit better, as the author starts to find their stride. Characters are becoming more filled out. The good become better. The evil more evil. The ambiguous become even more blurred. The seeds of plot scattered across the ground in the first have taken root, and are starting to grow. If this doesn’t happen, if that second book is weak, or just a rehashing of the first, or if it feels as though we’re not reaching a crescendo, I won’t go on. Likewise, if it feels totally disjointed from the first, I’m done. When I read Coldness of Marek last year, the first book in Rachel O’Laughlin’s Serengard Series I was blown away. I devoured it. I loved the characters, the world, the plot–pretty much everything about it. I hated the ending. Not because it wasn’t good, but simply because it…well…ended. 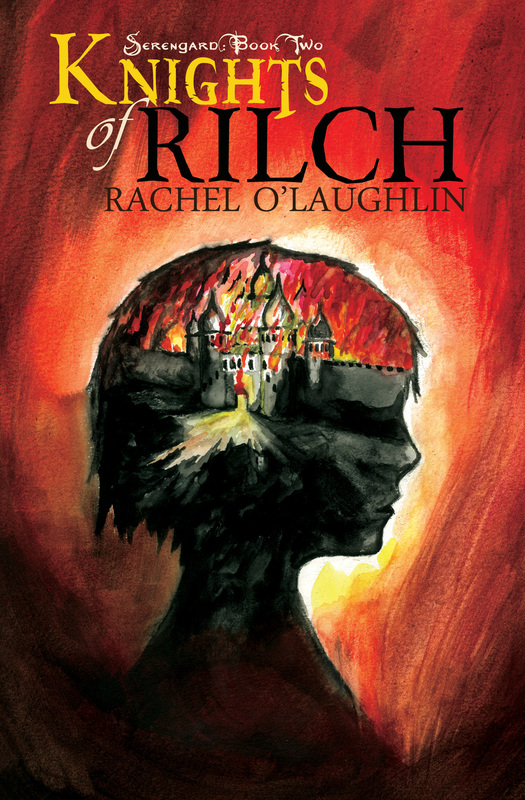 I waited with anticipation for the second book, Knights of Rilch. Well,waited with my usual blend of impatience, anticipation, and skepticism. I’ve read too many series where the second book falls flat. I didn’t think that would be the case here, and I was right. Knights of Rilch is Darth Vader in The Empire Strikes Back. Broader, more intense, and I found myself unable to put it down. Questions that had haunted me since Coldness of Marek were answered. New questions were raised. Characters surprised me. There were a few chuckles and, yes, some tears. I’m not a softy, so when an author can make me care that deeply about a character, they’ve done their job and then some. And even though the story jumps from present to past and back again, I never felt lost or confused. That takes a deft hand to pull off. Rachel O’Laughlin makes it look easy. When Serengard rebelled and the Orion monarchy fell, former crown princess Kierstaz Orion’s love for her people became a burning desire to set things right. With a price on their heads, Kierstaz and her brother Mikel led a handful of Border Guard against the new army along the border of Dreibourge. But months of heavy bloodshed forced her small band of knights to abandon the border — and all of Serengard — to the rebels. Kierstaz and Mikel again find themselves on the run, only this time, they’ve a boy in tow: Malcom, the son of two of the Seren rebellion’s strongest leaders. The new regime wants him dead, Mikel wants him alive, and it’s all Kierstaz can do to keep their tracks covered. Desperate to preserve the innocent life she’s sworn to protect, and afraid Mikel’s may be forfeit, Kierstaz must gamble the last thing in the world she owns — her identity. Secrets are a staple of the Orion family, and those Kierstaz keeps are as dangerous as the ones kept from her. Rachel O’Laughlin grew up writing adventure stories in which heroines tend to get their hands dirty, bad guys sometimes win, and someone always gets kidnapped. Her passion for all things history morphed into a love for fantasy in her late teens. Lattes and The Fray are daily dwellers in her home in New England, where she lives with her husband and children. I’m going to be the same old history nut here and draw on tradition in the real world to influence fantasy. I know, I’m like a broken record. But honestly, this is somewhere I don’t see quite as much depth and development in the fantasy genre. There are celebrations and feasts aplenty — usually to celebrate a name/birth day or a great military victory — but it seems like many of us (myself included) gloss over the whole who/where/why/what/how of tradition by stating plainly: “This is what happened and this is how we celebrate it. End of story.” But tradition isn’t usually like that. Not really. Since it is Christmas Day in much of the world, and countless millions are clustered around trees opening presents, it’s got me thinking about Biblical tradition, and the fact that there actually was no documented celebration of Cristes-messe until long after Christ, and no mention of celebrating his birth anywhere in scripture. Hmm…so this tradition commonly associated with those who follow Christ (since it IS literally titled Christ’s Mass) sprung up from nowhere? I mean, where do we decide it actually began, if it isn’t anywhere in the four books about the Messiah we’re supposedly celebrating? Have you read the Wikipedia history of Christmas? It’s like…whoa. Many people believe Christ’s Mass started with…well, Christ. But it probably started way earlier, as pagan celebrations of the Winter Solstice, Sun God, and Epiphany wound their way into new traditions of reveling and drinking that turned into old traditions and then came new traditions of gift giving and tree-worshipping and all vaguely at the same time or before or after it was adopted by the Catholic church as a celebration of the Messiah’s birth and is now a huge consumerism event and ohmigosh my brain is tired. It’s shrouded in complexity, with many influences from Greek and Roman history and worship, and even random Santa Claus/Father Christmas/St. Nicholas connections from worship of Molech in the Middle East waaaaayy back when, all with sometimes very loose or nonexistent ties to Christianity. So maybe it wasn’t even a Christian holiday to begin with? It’s almost impossible to untangle who brought what to the table, because it’s all linked and related because people groups and stories and traditions are often linked and related. –Each character has his/her reasons for celebrating. –Each character has his/her version of how the original feast was celebrated. –Each character has his/her personal past connected with this feast, since it’s a recurring event. If you go at it from your key characters’ perspectives alone, you’ll have several different interpretations. And that’s so cool. It’s beautiful, deep, diverse. It can be unsettling (for the character) if they don’t know what they’re celebrating and why. It can be warm and fuzzy because they have good memories connected with tradition. It can be creepy because bloodshed was once involved. Dude, tradition can be your wild card! What happened? You know, occasionally we here at There & Draft Again come up with some crazy lunatic insane fun ideas. I’ll take the blame for suggesting this one. We’ve decided to present you with an on-going tale. Each month, one or more of us will add to this tale for your readerly enjoyment (we hope). Of course, it’s a fantasy tale, but it will be totally organic in its growth so who knows where it will wind up. To keep off this little venture, I have written an introduction of sorts. Fine. I’ll call it what it is. *duhn duhn da duhn* The Dreaded (dreaded dreaded dreaded) Prologue (prologue prologue prologue). Do you like the echo machine? It’s cool, no? Okay, on with the tale which I shall title: Okay, I don’t have a title for it yet. We’ll work on that. Enjoy! Once upon a time, and a very long time ago it was, too. . .
Isn’t that how all Fairy Tales begin? But this isn’t your run of the mill fairy tale. Oh, there are fairies, and tales by the plenty, but nothing ordinary lies in wait. You doubt, I know, but allow me to set the scene and begin the telling, and let us see where the words will take us. Under a crystalline blue sky a woman walks amid the runes of a once great fortress. This is Corrin. Dressed in the greens and browns of the forest, lithe, tall, her black hair bound in a tight braid, she is young. Too young to remember when the spires that lay in crumbled heaps beneath her feet once pierced those late summer clouds gathering above her. Nor does she particularly care. Ancient lore never held her interest. Those clouds, however, and the heaviness to them, those caught her eye and she frowned. Something scampers over tumbled rock and rotted wood behind her, dislodging a small avalanche. She turns her gaze over her shoulder, unconcerned. In two more breaths a long-legged Wolfhound surges over a pile of rubble and bounds toward her, tongue lolling from the side of its mouth. She mumbles a curse under her breath, idly scratching the hound behind the ears as he rests his huge head against her waist. After a time, she shoulders her pack and resumes picking her way across the runes. With my luck, she muses to herself, the rain will hold off until nightfall, and I’ll be stuck in the open with only a pine tree for shelter and no hope of a fire. But she has no one to blame. She has set this task for herself. There is no fame or glory to be found in its success. There will be no celebration in the city on her return. No statue in her likeness will be commissioned of the royal sculptor. Truth be told, the great likelihood is that no one has even noticed she is gone. And so Corrin leaves the runes and continues north, following a trail she will lose to the coming rain. Less than half a league behind her, a figure pauses in the shadow of the trees, and gazes down the hill at the remains of a once glorious castle. The hooded head turns to track the progress of the receding duo: a girl and a hound. An eager light shines where eyes might be. As the wind picks up, it brings with it the first hint of a coming storm. And so begins the tale . . .
Watch for the next installment(s) next month. Happy Holidays!